The online casino is available in Finnish, Norwegian, German, Swedish, English. The site has a stunning and mobile friendly design with a great selection of casino games. There are more then 1000+ titles on the site from game providers such as Quickspin, NetEnt, Thunderkick, Barcrest Games, Bally, Yggdrasil, Red Tiger Gaming, WMS (Williams Interactive), Novomatic, NYX Interactive, BluePrint Gaming, Elk Studios, Microgaming, IGT, Evolution Gaming, Merkur, NextGen Gaming, GreenTube, Shufflemaster, Scientific Gaming (SG), Quickfire, Edict, Relax Gaming, Play’n GO. Everything is bright and rainbowy in the world of Casumo, a modern online casino site that has been running since 2012. It was conceived as a gaming site like no other, sporting a unique style that has the power to change that frown upside down. The site is managed by Casumo Services Limited and licensed by the Malta Gaming Authority (MGA) and the UK Gambling Commission (UKGC); it hosts hundreds of games from a long list of providers, offering virtual blackjack, roulette, bingo, baccarat, slots, poker and scratch cards to a wide audience. It’s good news for all British casino players that Casumo Casino have a license to operate in the UK casino market. The UK license provides an extra layer of protection for the players, as the casino site has clear regulations to follow in order to maintain the license they have. The Casumo team is a hardworking one and determined to deliver thrilling and refreshing online gambling experience to every site visitor and loyal member. The range of games is quite diverse and carefully updated with new releases and titles added in response to popular demands. 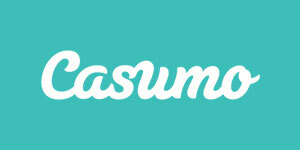 The Casumo brand cooperates with a dozen software providers, including NetEnt, IGT and Thunderkick. Studios like Push Gaming, Quickspin, Greentube, Play ‘n Go, WMS, Bally Wulff, Barcrest, Blueprint, Merkur, Novomatic and Stake Logic are also part of the list of suppliers, bringing their best projects onto the table. Bottom line, Casumo is a multi-software online casino with a variety of slots, table games, a selection of poker machines and a live casino room. The games are mobile-compatible and can be played on tablets and smartphones. Those that come to Casumo to play slots have a flattering choice of classic and video slots. These are merged into one big selection of slot machines that players can browse according to name or provider, or manually. NetEnt’s slots are in the forefront with mega popular games like Starburst, Dead or Alive, Jack Hammer and Gonzo’s Quest, which have recently been joined by releases like Copy Cats and Butterfly Staxx. More top slots come from Microgaming’s workshop, such as Immortal Romance and Thunderstruck II, both all-time favourites. Foxin’ Wins is a sought-out slot by NextGen, and so are Medusa II, A Dragon’s Story and Shangri La. You can play them at Casumo. Let’s not forget about progressives – Casumo Casino offers Mega Fortune Dreams, Mega Moolah, Arabian Nights and Hall of Gods, among others. Although slots get more attention, Casumo nurtures its table games collections with just as much dedication and thoughtfulness. There are numerous blackjack and roulette variants available, with different rule sets and table layouts. What is more, bettors can take pleasure in Casino Hold’em, Caribbean Stud Poker, Texas Hold’em, baccarat and Oasis Poker. Aside from the standard casino offer that usually includes slots and table games, Casumo Casino gives you the chance to try out other games of chance such as keno, dice, scratch cards, bingo and video poker machines. For example, Jacks or Better, Deuces Wild, Joker Wild and All-American Poker can be played in single-hand and multi-hand formats. Virtual gambling is one thing, and realistic live-streamed betting is a whole other sensation you can also experience at Casumo Casino thanks to games provided by NetEnt’s Live platform and Evolution Gaming. Available live dealer tables include British Live Roulette, Golden Live Roulette, Automatic Roulette, VIP Roulette, Champion’s Roulette, Common Draw Blackjack and VIP Blackjack. To make a safe and valid deposit at Casumo or request a withdrawal, bettors can use one of the following methods: Visa, MasterCard, Skrill, Neteller, PaysafeCard, Instadebit or Bank transfer. Financial transactions can be made in Euros or British Pounds, and the minimal amount you can either deposit or cash out is €10. Casumo is known for approving withdrawals in less than 23 hours, and deposits are all instantly credited to clients’ accounts. Customer support at Casumo Casino keeps everything running smoothly and without major issues because players can contact the staff fast and resolve any doubts and problems in a professional and caring environment. Casumo offers 24/7 support via email and live chat, as well as contact through popular social networks. The website has a helpful FAQ page as well, where answers to basic casino-related questions can be found. Casumo Casino has a live chat that can help you directly with all your questions. On some casino sites it is almost 80% playing via a mobile device such as iphone or android phones, it is therefore extremely important for casino sites such as Casumo Casino to keep up with the development. You can reach the mobile site in your browser and play most of the games, whether you have an Android or iPhone. You do not need to download any app or external client to be able to entertain you with casino games when you have a moment over, but you can bring with you Casumo Casino in your pocket.